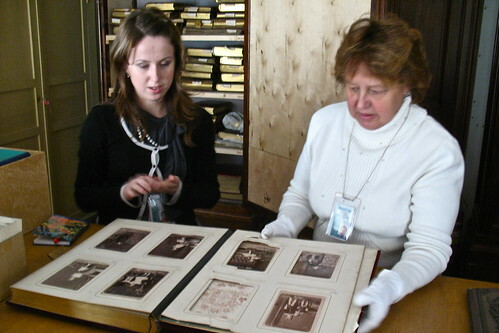 The resulting photograph conservation laboratory will be the first of its kind in Russia. The initiative grows out of priorities identified in a Mellon-funded survey of photograph collections at the Hermitage conducted in 2008-2009. Initially, the activities will focus on the collections of historic photographs in the History of Russian Culture Department but will eventually serve the estimated 472,000 photographs held by at least 44 departments within the museum. The co-directors for the initiative are Paul Messier, conservator in private practice in Boston, who conducted the initial survey, and Vyacheslav Fedorov, Head of the History of Russian Culture Department, State Hermitage Museum. Please see the full list of the many partners and funders, advisors, and other personnel elsewhere on this site. More information about the initiative can be found by following the links on the left side of this page. С американской стороны руководителем проекта является Пол Мессиер, реставратор из Бостона, сделавший первоначальный обзор фотографических коллекций Эрмитажа. С российской стороны проект возглавляет Вячеслав Анатольевич Фёдоров – заведующий Отделом Истории Русской Культуры Государственного Эрмитажа.